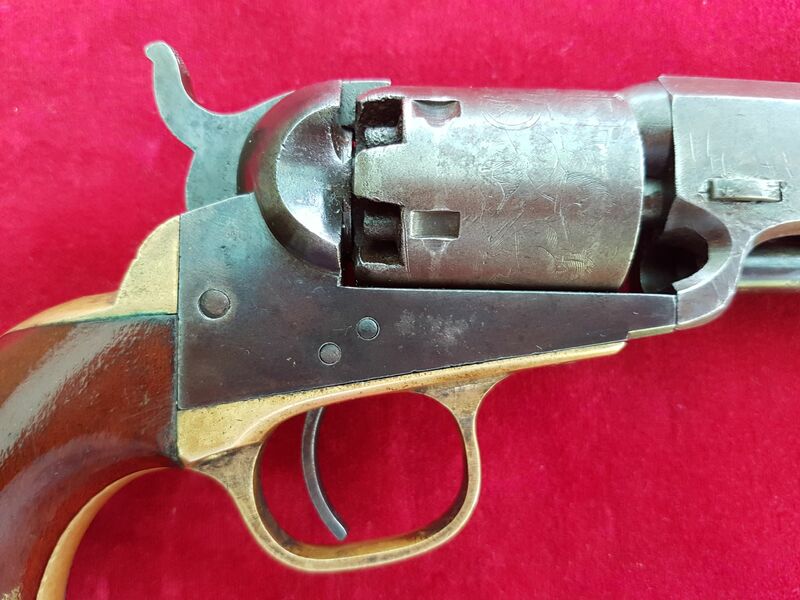 X X X SOLD X X X Civil War era Colt 1849 pocket model .31 Calibre Percussion revolver. Ref 1543. 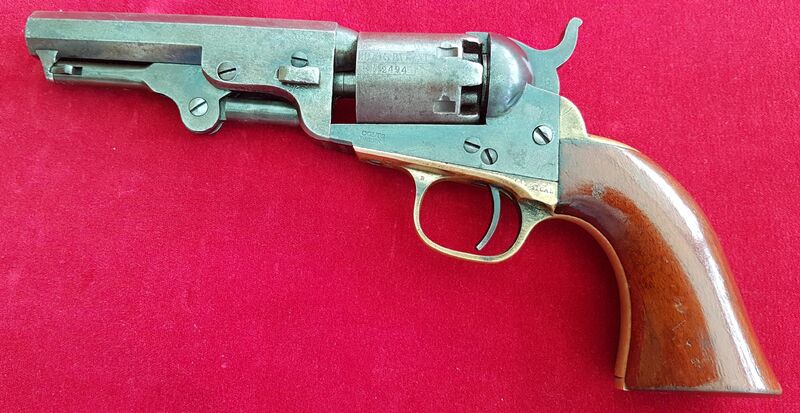 A good American Civil war era Colt's patent 6 shot 1849 pocket model .31 Calibre Percussion revolver. 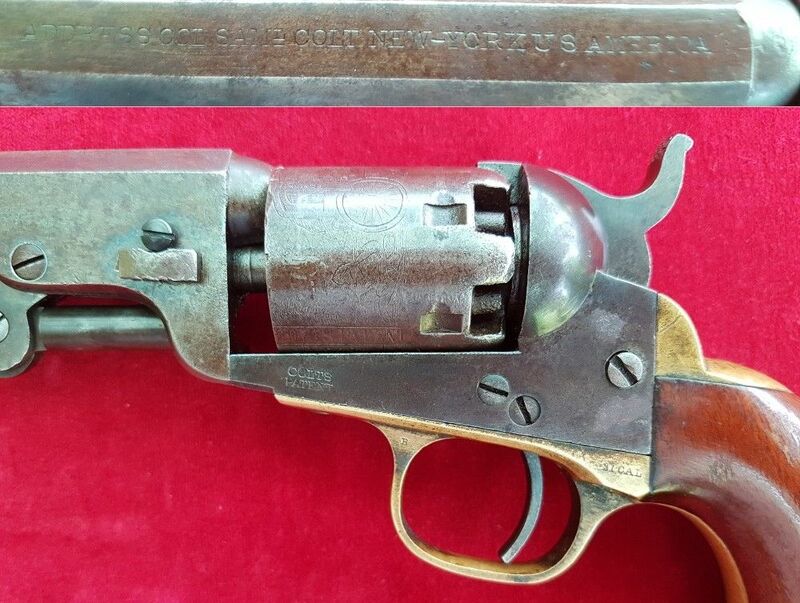 The 4 inch barrel engraved on top "Address Col SamL Colt New-York U.S. America". All matching serial numbers. 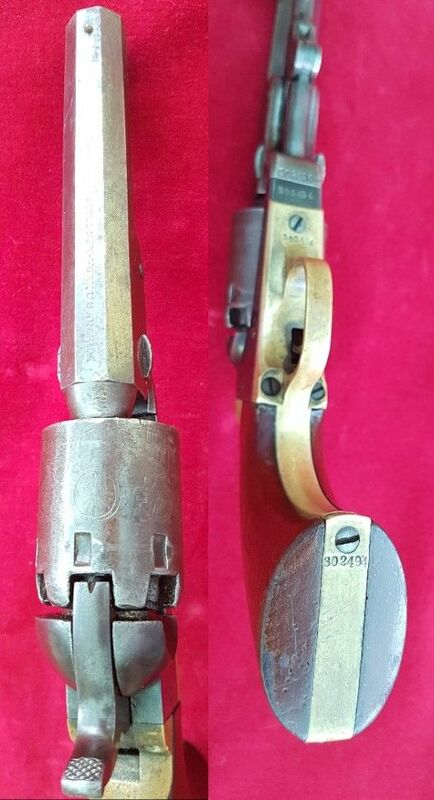 The side of frame marked "Colt's Patent" and 31 Cal. 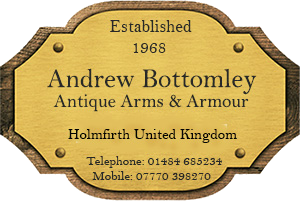 The engraved cylinder stagecoach scene is clearly visible. Overall length is approx 9 inches. In good condition, showing very little sign of use. Action in working order. One legend has it that the pocket models were popular with Civil War officers who did not rely on them as combat arms but as defense against battlefield surgeons who were bent on amputating a limb. Richard Francis Burton an English explorer, warrior and spy (he spoke 29 languages) was a devotee of Colt revolvers and carried a selection of them on his Middle Eastern and African journeys including the trip to Somalia and Ethiopia in 1855. A pocket model receives prominent mention in his diaries: "My revolvers excited abundant attention, though none would be persuaded to touch them. 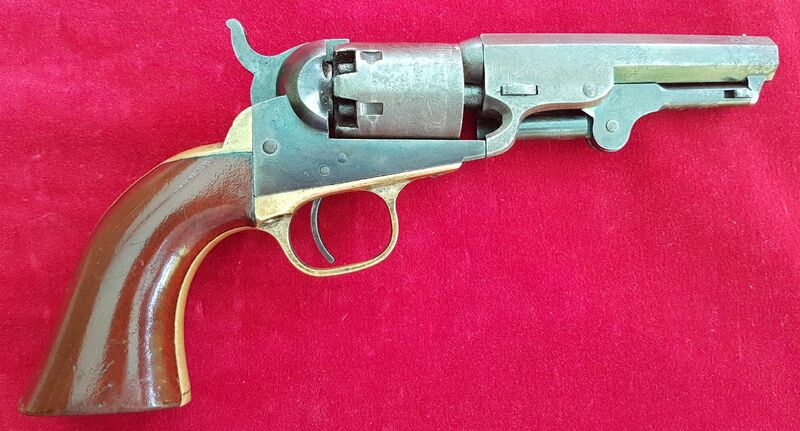 The pocket pistol became the Malunah or Accursed, and the distance to which it carried ball made every man wonder". Excellent condition with some original finish. Ref 1543.